Christmas is my favourite time of year and always has been for as long as I can remember. 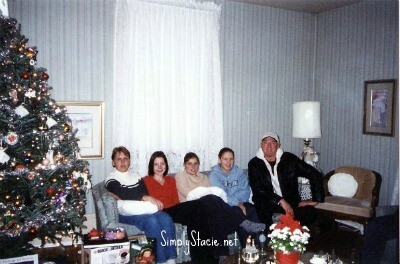 I loved the family parties where I would visit with relatives that I only see once a year. Even the office parties were fun when my uptight bosses would relax and let loose. Now that we are living out East, we won’t see my family who are a 22 hour drive away in Ontario. My parents always phone every Christmas morning with my dad bellowing out, “Merry Christmas Curly!”….that’s my nickname my dad gave me when I was a baby. Long story. 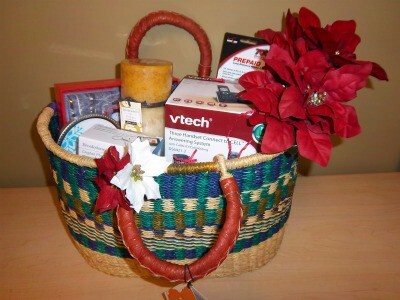 VTech Communications conducted a survey about holiday attitudes and behaviours. Their findings were quite interesting. Do you agree? The holidays may be the most important time to reconnect with loved ones – and the easiest way to do that according to a recent survey is with a phone call. Nearly half of respondents said a phone call to catch up is the best present a distant friend or family member could give them during the holiday season. In fact, a phone call outpaced gifts under the tree, holiday cards and emails. Parents want to get everything done and still have time to enjoy the season, but moms (33 percent) and dads (32 percent) say that find that balance is a challenge and causes stress. In fact, 48 percent of moms said if they had an extra set of hands to get things done, they’d spend more time with family and friends. The other responses were clean the house quicker (47 percent), bake more (42 percent) and decorate the house more (35 percent). Shoppers are still feeling the effects of the economy, with nearly half of respondents ranking having “more money to give presents” as their top wish during the holiday season. In addition, 47 percent of consumers said not having enough money is the most stressful thing to worry about during the holidays. A special moment with family and friends is all consumers want for the holidays. The holidays are known for great food and special traditions, so it’s no surprise that consumers embrace the season for its togetherness. Survey respondents ranked a holiday meal (24 percent) as the No. 1 thing not to miss during the holidays, followed by a special family tradition (22 percent). The holiday spirit rings strongly, as the overwhelming majority of consumers don’t want to miss out on any seasonal festivities with only 13 percent of consumers saying “bah humbug” to holiday cheer. For myself, I can relate to all their findings. I much prefer to call someone up on Christmas vs. sending them an email. A phone call is so much more personal. I could send a card I guess, but even that isn’t as nice as hearing a familiar voice of someone you care about. As for money, I’m going through a divorce so it’s tight. I am on a budget for my holiday shopping and looking for as many deals as I can. Holiday dinners are one of my favourite parts of the season. I remember when I was a little girl and how much fun I had playing with my cousins and going snowmobiling. I’ll always cherish those memories. Now that I’m older I enjoy the company of my friends and close family as we share a nice meal together. The Three Handset Expandable DECT 6.0 Cordless Phone with Answering System, Push-To-Talk, HD Audio & Extended Range Cordless Headset with Noise Canceling Microphone is cool. I like the Four Handset Cordless Answering System including a Cordless DECT 6.0 Headset – enough handsets to spread out throughout the house so no more running when the phone rings – yay! Extended Range Cordless Headset with Noise Canceling Microphone would be of interest. I like 3 Handset DECT 6.0 Expandable Cordless Phone with Answering System, Voice Announce CID, Push-To-Talk & HD Audio. my favorite products are the children’s educational learning toys. I am anxious to purchase the new vtech inno tab for my nephew. My children are now all teenagers and I believe that introducing them to the vtech toys especially the computers and lap top toys were important in the computer skills they now have. Keep the wonderful products coming!! i like the cordless phone..
Four Handset Cordless Answering System including a Cordless DECT 6.0 Headset-great for such a large family!! I would like this set for my mom…it has voice announce caller ID. Was looking specificalllly for hearing aid compatible. THIS one is really nice and about mid range in price! My favorite is the Extended Range Cordless Headset with Noise Canceling Microphone. I need new cordless phones my old ones from vtech are shot! The batteries are anyways, we have had them 6 years.. The 3 Handset DECT 6.0 Expandable Cordless Telephone with Answering System & Handset Speakerphone would be perfect for my family. my favorite product is the connect to cell phone systems – we do not have a landline and only use our cell phones – i would love to have the connect to cell phone system! I like the Two Handset DECT 6.0 Expandable Cordless Phone with One DECT 6.0 Cordless Headset, Push-To-Talk & HD Audio. Honestly…I’d be happy with any. I’m currently using an old standard phone with no called ID or speed dial or anything! Ooh. I’d like the Extended Range Cordless Headset with Noise Canceling Microphone. I have wanted any of the three handset phones for a while. I like the Cordless Headset with Noise Cancelling! I love the Extended Range Cordless Headset with Noise Canceling Microphone . Two Handset Cordless Answering System including a Cordless DECT 6.0 Headset, I love the multiple handsets with this system. My favorite item is the Two Handset Cordless Answering System including a Cordless DECT 6.0 Headset. I am in the market for a Cordless Phone with answering machine DS6322-3 would do nicely.